Nobel Prize-winning economist Joseph Stiglitz said that bitcoin should be outlawed because it doesn’t serve any useful social function. The comments came after the cyptocurrency surpassed $11,000 in a matter of hours after hitting the $10,000 milestone. In an interview on Bloomberg Television, Stiglitz said that the main use of bitcoin has been to circumvent tax authorities and regulation. He thinks the US government did the right thing by trying to shut it down and that they did so effectively. Stiglitz also said that the cryptocurrecy is a bubble that’s going to give a lot of people a lot of exciting times as it rides up and then goes down. He added that the value of a bitcoin today is expectations of what bitcoin is going to be tomorrow. Stiglitz, however, argued that phasing out money and introducing digital currency has benefits that outweigh the cost in the long term. He said that the digital currency should still be fiat-created and controlled by the government. “Let’s move away from paper into the 21st century of a digital economy,” he said. 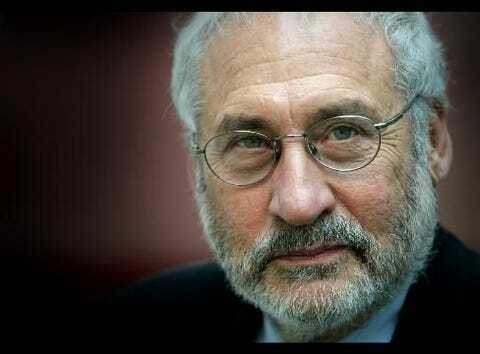 Joseph Stiglitz is an American economist and a professor at Columbia University. He is a recipient of the Nobel Memorial Prize in Economic Sciences in 2001 and the John Bates Clark Medal in 1979. He is a former senior vice president and chief economist of the World Bank and is a former member and chairman of the US president’s Council of Economic Advisers.